This was the first time we were there without our dear Awena, she was with us last time. It feels so strange, both she and Asla are often with us in our thoughts. better dogs you have to look for. But we'll have a look at them every day, as we have nice paintings in our home. 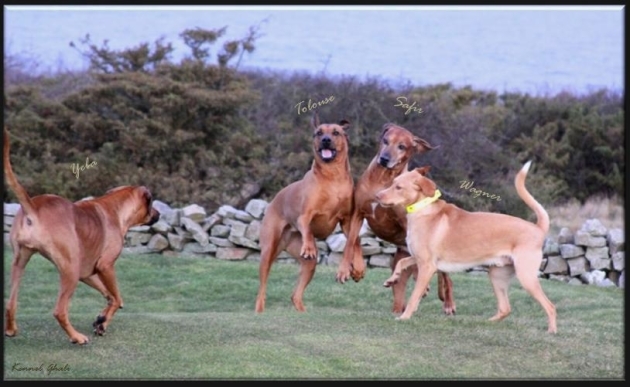 We love Torekov, and we have a nice friend in Lotta, so happy for that:) One of the benefits of being a breeder, you have made dear friends for life, and dear memories!